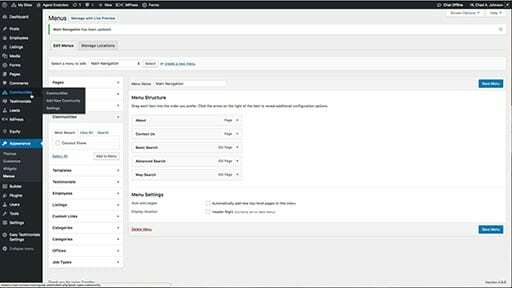 Build website navigation using the WordPress Menus system. 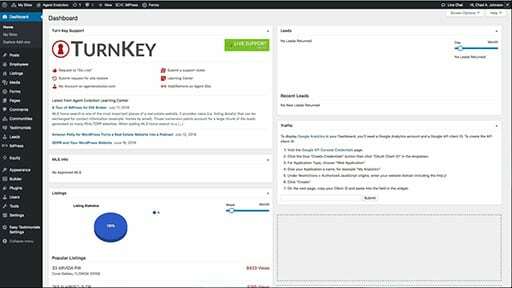 Create and edit the site’s main navigation. Add menus to the footer or homepage. 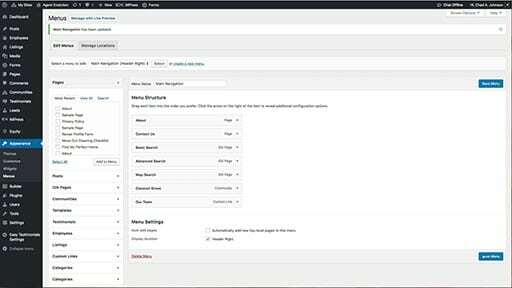 Take a tour of the WordPress menus admin panel. Create a new menu or select an existing menu to edit. 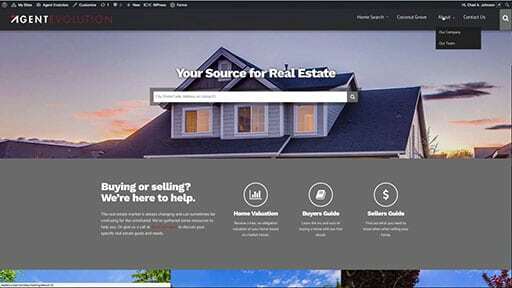 Add pages, IDX home search pages, and communities to a menu in WordPress. Link to external websites in your WordPress menus using custom links. 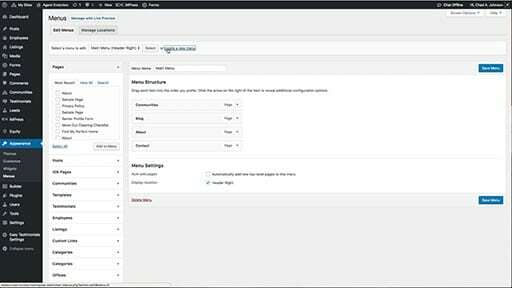 Edit link names, change link order, and create dropdowns to organize WordPress menus. Add menus to the footer or homepage using Navigation Menu widgets.